Your legal rights depend on the type of animal that hurt you. Most states have passed laws that are known as “dog bite laws.” Dog bite laws impose what is known as “strict liability” on dog owners for harm caused by their dogs. Strict liability means that the dog owner is liable for injuries caused by their dog, regardless of whether the owner was actually at fault. Dog bite statutes provide a significant legal advantage to people harmed by dogs. In states that do not have such laws, an injured person has to prove that the dog owner knew (or should have known) that his/her dog was vicious and could hurt someone. Under strict liability dog bite law, however, the plaintiff only needs prove that the dog bit him/her. However, an injured party could be barred or limited from getting his or her full damages (even under a dog bite law), if the dog owner shows that the injured person provoked the dog, or was trespassing. Generally, in states with dog bite laws, a person attacked by a dog will have an easier time proving his or her legal case than a person bitten by any other animal. To find out whether your state has a specific dog bite statute, you should call our office for help today. Most injuries from horses are caused by kicks, not bites, which are the most common cause of injury from dogs. Most states do not have specific laws for injuries caused by horses. As a result, injuries caused by horses commonly are treated as are injuries caused by other domestic animals, under standard rules of negligence. Thus, the owner of a horse will usually be held accountable for injuries caused by the horse if the owner knew or had reason to know of the horse’s dangerous nature. Also, like other animal cases, a horse owner may not be responsible for injuries if the owner can prove the injured person “assumed the risk,” was “contributorily negligent,” or provoked the horse. People who own or keep wild animals are subject to strict liability in the same way that dog owners are liable for dog bites under dog bite laws. The reason being, that the act of keeping an animal that, by its nature, is potentially harmful is considered inherently dangerous. Thus, even if the owner of a wild animal goes to extreme measures to keep people from his animal (such as building high fences), if the animal hurts someone, the owner of the animal can be held liable regardless of the effort he or she took to protect others. The type of animal that harms you can affect your rights. To find out if your state has specific “dog bite laws” or other animal specific laws, call our office today. 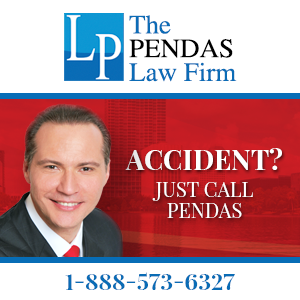 If you or a loved one has been hurt by a dog bite or other animal related injury, please call our injury lawyers today. We offer free initial consultations and work on a contingent fee basis, which means that there is never a fee unless we successfully settle your case.